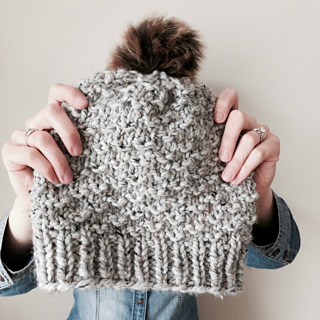 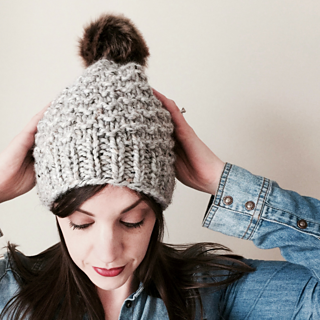 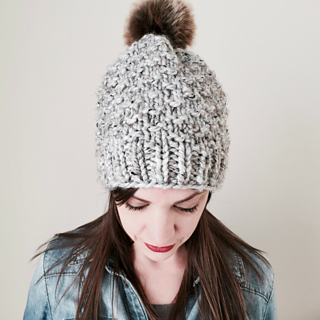 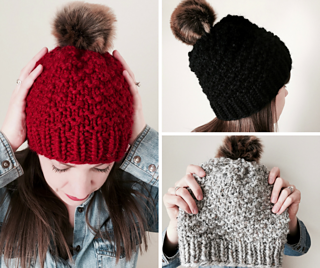 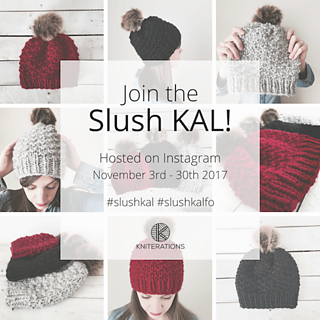 The Slush toque is the perfect quick knit. 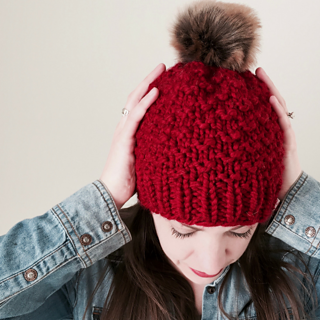 It uses less than one skein of super bulky weight yarn, requires only a couple of hours of knitting time, and results in a finished item that’s both warm and stylish. 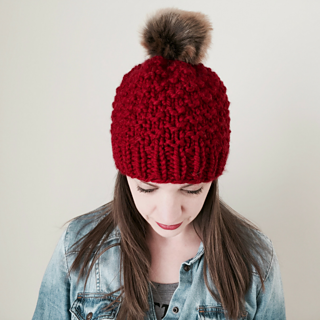 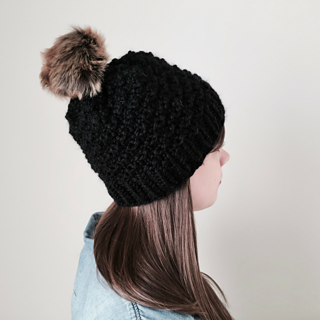 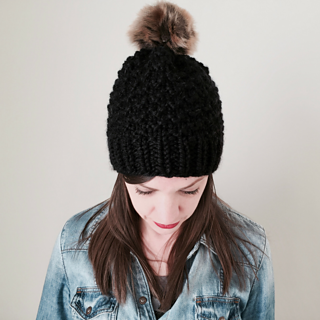 A faux fur pom pom adds a modern touch to this classic toque, making it great to give as a gift (or keep for yourself). 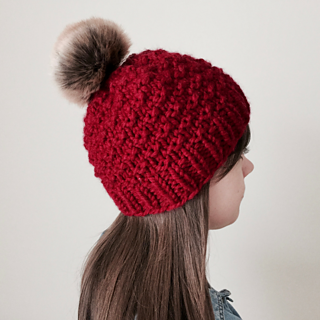 NOTE: You must sign up for my newsletter to receive the pattern via email. 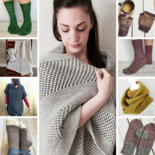 All dimensions measured after blocking. 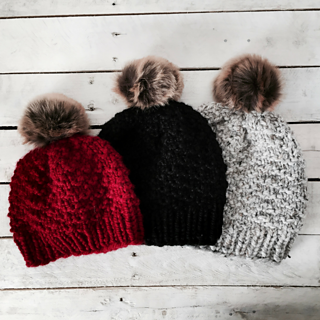 Shown in Lion Brand Wool Ease Thick & Quick (82% Acrylic, 10% Wool, 8% Rayon/Viscose; 97 m/106 yd per 170 g/6 oz skein) in colours Cranberry, Black, and Grey Marble. 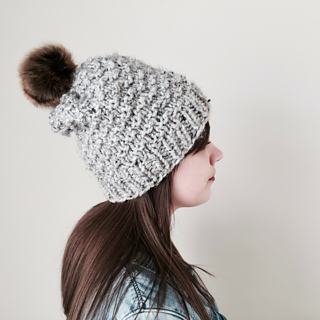 Texture pattern is both charted and written.